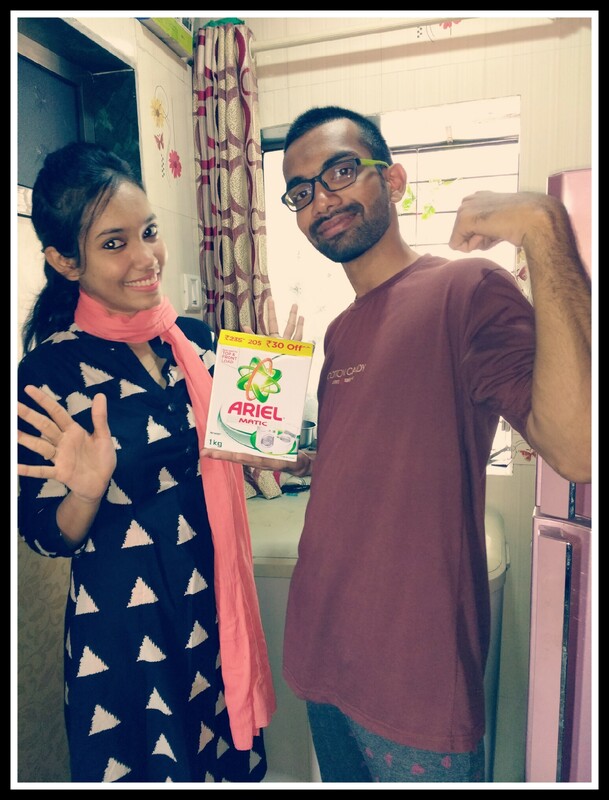 My #LaundryGoesOddEven Experience in association with Ariel! With the world moving towards becoming a developed nation, equipped with rational ideas, there is a dying need to accept the idea of gender equality, isn’t it? 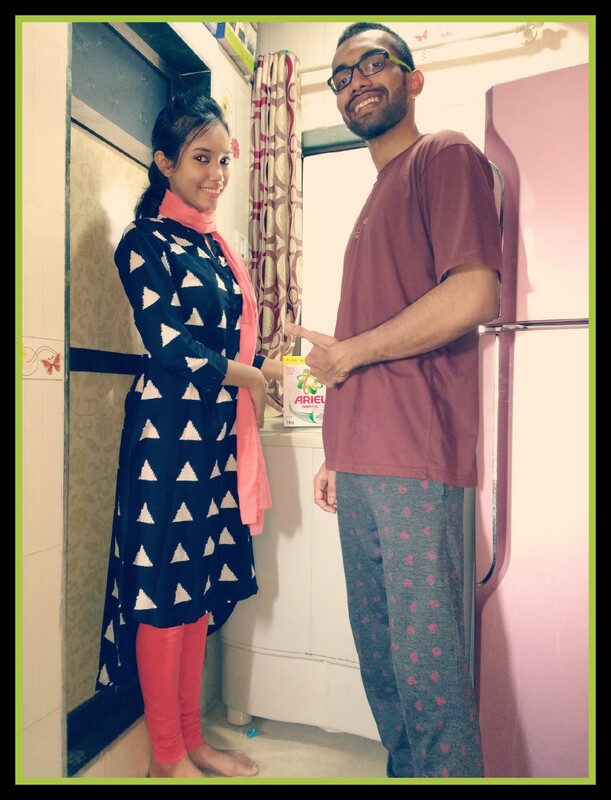 Last year, I participated in the #ShareTheLoad Campaign Initiative by Ariel, where the men of our house took part in supporting the female with the laundry. It was definitely a great time and we enjoyed the sharing of work. My brother particularly took this decision of supporting mom with the house chores when I’m absent or when she gets unwell. And such gestures not only foster sharing of duties in the house or encouraging help from the inactive lot of the house, but also initiates understanding between the family members and builds relations. Eventually, this year, my brother got a good job in a renowned IT company in Pune and hence, he relocated. This was definitely a test period for him as he had to start to manage doing laundry on his own, while the other tasks were taken care of by the owner of his PG. Since, he was an occasional supporter in doing the laundry at home, it wasn’t much of a task, but he hated it. But gradually, he and his room-mates decided to come up with a solution. They divided the laundry chore among themselves and assigned one person every week to do the laundry. This helped them to lessen the burden of office work and also helped to reduce the chaos that occurred when they would do laundry individually. Now, whenever he comes home on weekends, he makes sure that he helps us with laundry at least once, be it putting the clothes in the machine or sending them for ironing or folding the clothes. I’m glad that this experience has helped him in being self-sufficient and responsible and for not assuming a job to be gender-oriented and taking it as a part of life. Did I forgot to mention that after the laundry’s done, we usually go out and have ice-cream or go for a long walk in the evening? When your brother shares the load and you feel free! I believe that when a family shares work and house chores, we eventually respect and value each other’s existence and that is one thing I learned when the concept of laundry was barred to be associated to the female in the house. Aren’t such instances beautiful? What’s your idea on doing the laundry at home? Do you share the work at home? Share your experiences, ideas and opinions in the comment section. Do you work for Ariel? Icecream after laundry is a good deal 😀 As always, a nice post Amreen! Next Next post: All you need to know about The Rich’s Gourmet Guide 2016 Event!